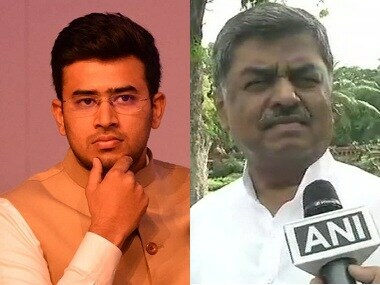 Bengaluru: The stage is set for a high stakes battle in Karnataka's Bangalore South Lok Sabha constituency, considered a BJP stronghold, where the saffron party's Tejasvi Surya, a newcomer, will take on Congress veteran BK Hariprasad. Union minister Ananth Kumar had held the seat since 1996. Kumar passed away last year and the BJP has fielded Surya (28), who is a lawyer and party's youth wing leader, this year. The BJP's choice of candidate came as a surprise to many in the party who were expecting Kumar's wife, Tejaswini Ananth Kumar, to get the ticket. Dismissing reports of differences within the party unit over his nomination, Surya exuded confidence that the BJP would once again retain the seat. "It takes time for things to settle down when a fresh development takes place. After a roadshow of party president Amit Shah, things have changed. I am getting support and blessings of senior leaders including V Somanna and Ashok," he said. "They have also been campaigning for me. 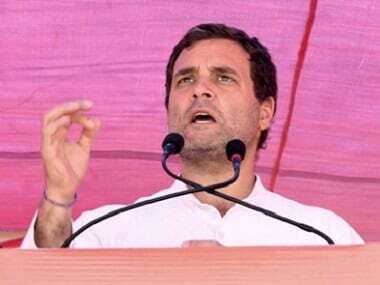 I am expecting people to vote for (Prime Minister Narendra) Modi and I am least bothered about media reports about differences (within the party unit)," he added. In the 2014 general election, the Congress had fielded Infosys co-founder Nandan Nilekani. He managed to poll 36.39 per cent votes against Kumar's 57 per cent. Kumar was considered a moderate saffron leader. His success was attributed to his ability to reach out to Brahmins and Vokkaligas - who account for about 10 per cent each of the total electorate of 22.16 lakh. In contrast, Surya is perceived as a staunch RSS ideologue who doesn't shy away from making pro-Hindutva statements that sometimes make minority voters uncomfortable. The debutant asserted that his chances of winning are high as the BJP holds five out of eight assembly seats in Bangalore South. "I am pretty confident that the BJP will win from this constituency which has eight assembly segments. I do not believe in strategy based on caste politics, but the caste composition is favouring us," Surya said. "There are 5.5 lakh Brahmin voters in the seat. 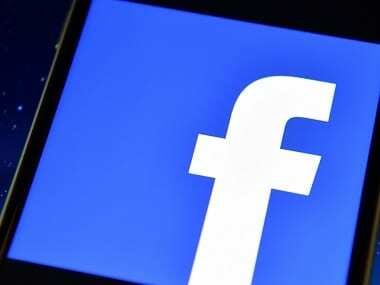 According to available data, it also has 4.5 lakh Vokkaligas, 3 lakh Muslims and about 1 lakh Christian, SC, ST and OBC voters," the BJP candidate said. On the other hand, Hariprasad, who hails from backward community of Idigas, is confident that his party will benefit from people's disappointment with the BJP-led NDA government. "I am confident that voters cutting across communities will vote for my party. People are dissatisfied with the Narendra Modi-led government," he told PTI. It has failed to fulfil its promises including creating two crore jobs and bringing back black money, he added. Backward classes cumulatively account for about 40 per cent of votes and Muslims and Dalits account for 30 per cent in the constituency. The Congress candidate also hopes for transfer of JD(S) votes. "The JD(S), our coalition partner, has huge pockets in assembly segments like Basavanagudi, Padmanabhanagar and Bommanahalli. Our alliance with Deve Gowda and his party is benefitting us," he said. Hariprasad, with an experience of almost two decades, said his vision is to protect the nation and the Constitution. "I am fighting for defending democracy and restoring democratic institutions. I want 33 per cent reservation for women to be implemented. I want to bring back the glory and the cosmopolitan culture of Bengaluru," he said. Historically, the constituency has registered a low voter turnout of less than 50 per cent. Hariprasad said Congress workers are encouraging voters to exercise their right to franchise. "Our workers are sweating it out to educate people to come out and vote in large numbers to get a strong and stable government at the Centre," he said. 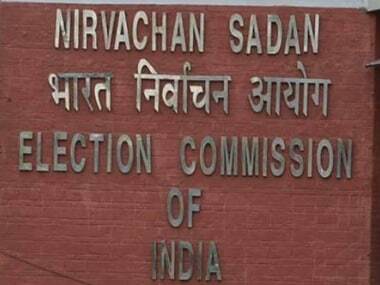 Lok Sabha polls will be held in seven phases from 11 April to 23 May. Polling will be held in Bangalore South in the second phase on 18 April. Results will be announced on 23 May.